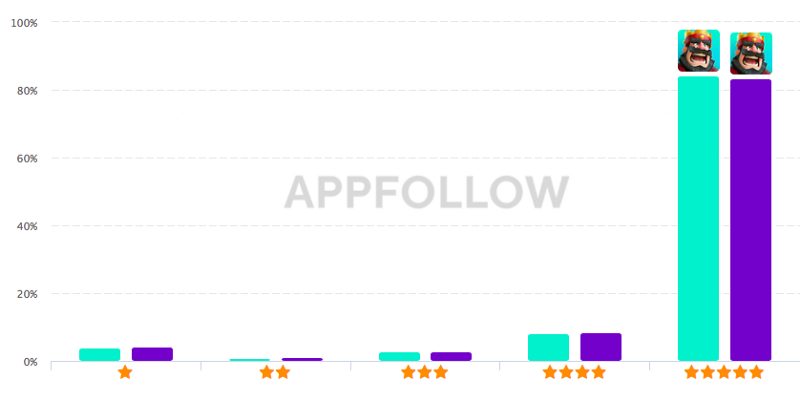 AppFollow has a special interface that helps you track rating (stars) for iOS, Android and Windows apps. Premium accounts have access to the Collect ratings option that activates the data collection process. Main graph shows rating dynamics per day. It has a split by stars and trend line. 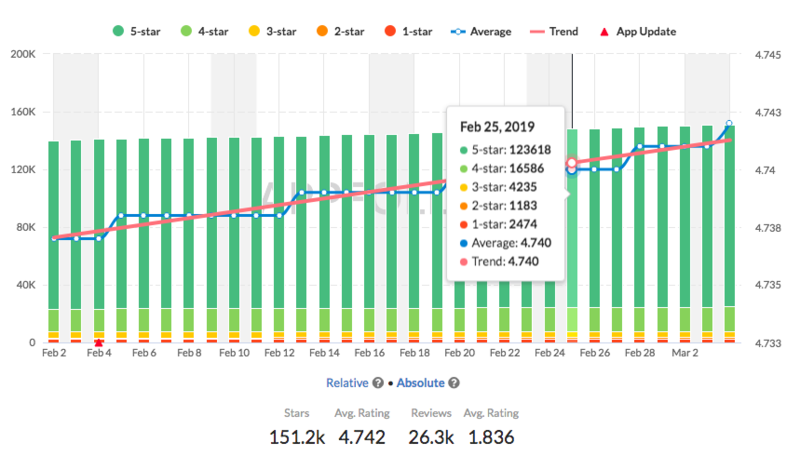 It also shows average rating over a period of time and dates when updates were released or app got featured (see small red triangles on X axis). Rating data collection available on Trial & Premium accounts with “Collect rating” option. Rating data is collected on daily basis. 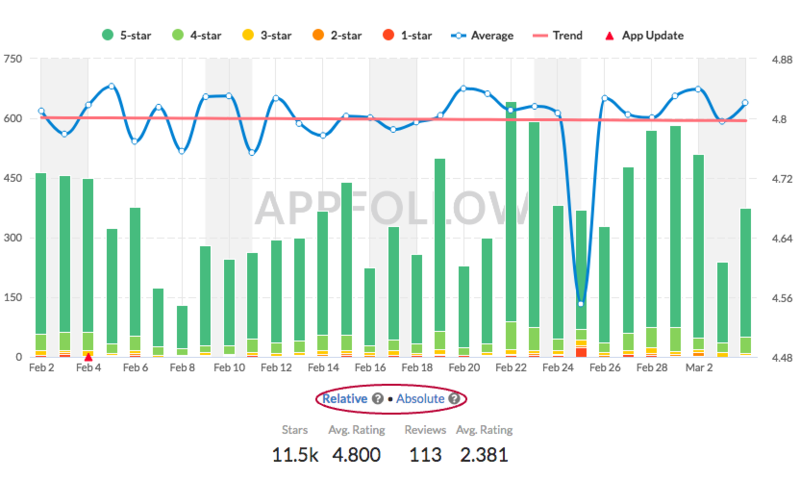 If you add your app today, you’ll see the Absolute rating tomorrow, and Relative rating — the day after tomorrow (the Relative rating shows the difference between days so it takes another day to show up). 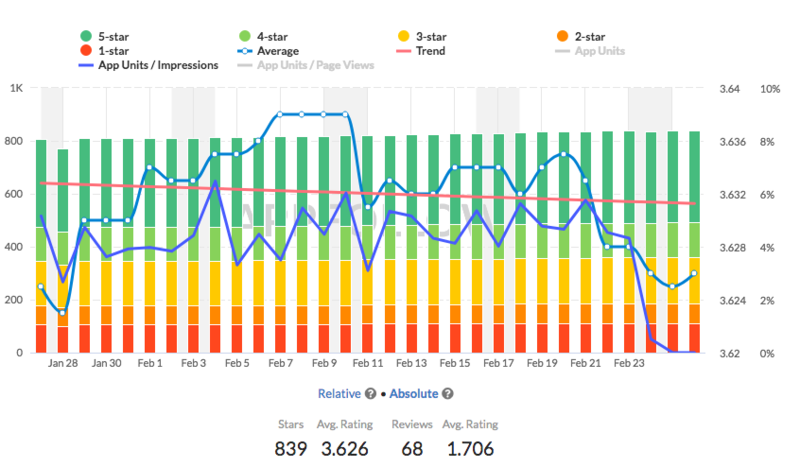 Add ASO Report, and you will be able to analyze the key metrics, like Impressions, Page views, App Units and Conversion rates for the App Store Search (iOS) & Google Play Organic (Android). Data may be collected for the last 3 days after ASO report is set up. 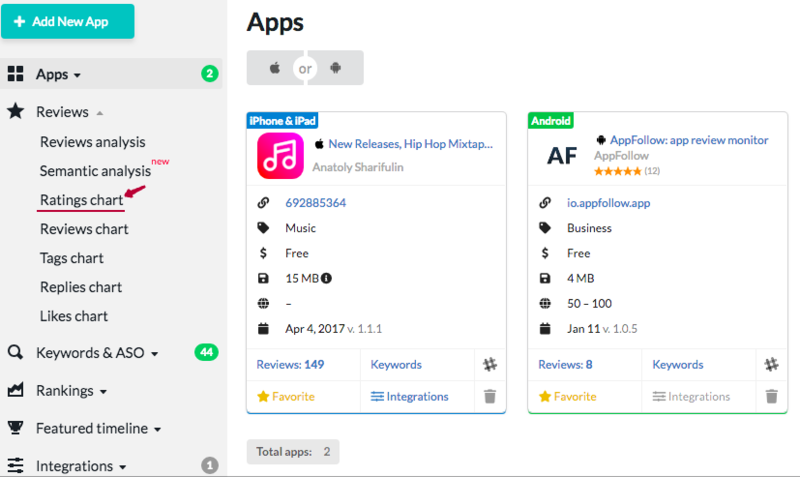 The data about apps can be filtered by country and version. *Android apps don't have a country filter yet, the data is based on worldwide numbers.